Our mission is to promote and educate the public on the role of the social, cultural and educational involvement of the Puerto Rican community and to maintain our heritage by leaving a legacy to our children. Our Goal is to raise funds and award financial scholarships for minority students at the local state colleges. Nuestra misión es la de promover y educar al público sobre el papel de la sociedad, la cultura y la educacion de la comunidad puertorriqueña y mantener nuestro patrimonio para dejar un legado a nuestros hijos. Nuestro objetivo es recaudar fondos y financieras premio becas para estudiantes de las minorías en los colegios estatales locales. The Puerto Rican Association Website (PRAWS.ORG) is primarily used for the informational use that will benefit the Puerto Rican community and the community at large. 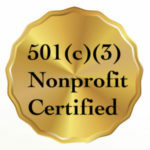 As a 501 c(3) non-profit we do not support or endorse or will be involved in any political activity as an organization. If you have information that can benefit our organization or the community involved feel free to contact our webmaster and let us know. We will not post any information we dee derogatory towards anyone regardless of Race, Ethnicity, Sexual preference or Religion. If we deem your request to in violation of these rules we will deny your request. This applies to both this website and our Facebook page. We understand that everyone has an opinion, but our website and Facebook pages are for non-political and cultural information.